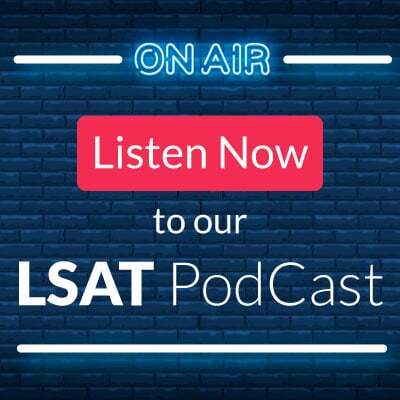 As Saturday's LSAT concludes, test takers throughout the US and Canada naturally wonder what to make of their experience, and are eager to hear more about the experiences of others. 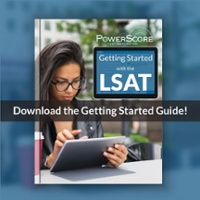 To aid in that, this thread allows you to provide information and feedback about the September LSAT, and will serve as a one-stop repository for all of the details that PowerScore is able to collect on the test. 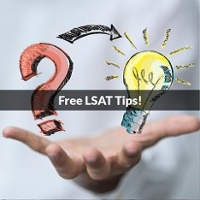 Below, let us know more about your test, including questions and topics that you remember, section order, and overall impressions (difficulty, uniqueness/familiarity, odd elements, etc). With that information we will begin outlining which LG/RC/LR questions were real and which were known to be experimental (for more information on determining the Experimental section, please read: The Experimental Section Explained). 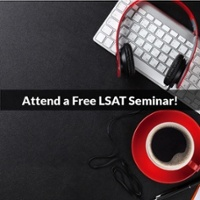 This data can then help you better predict your own scoring outcomes, and determine whether to keep or cancel your score (although these days you rarely should cancel since only your highest score matters). 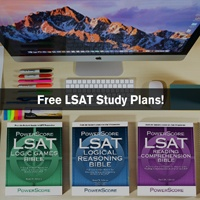 For more assistance on making that decision, please visit: The Ultimate LSAT Scoring Guide: Should You Keep or Cancel? I thought my first LR section was significantly harder than the others (and than most of my practice tests) so REALLY hoping that was my experimental one! I am trying to remember questions, but my brain is mush right now! Sorry! Last edited by EL16 on Sat Sep 16, 2017 1:49 pm, edited 1 time in total. Hey EL - thanks for the update! You're not the first person I've heard from today with that section order who hated their first LR, so hoping it's experimental too! Do you remember which section ended with the used cars/junkyard question? Seems that one was for sure real! Jon Denning wrote: Hey EL - thanks for the update! You're not the first person I've heard from today with that section order who hated their first LR, so hoping it's experimental too! Do you remember which section ended with the used cars/junkyard question? Seems that one was for sure real! Unfortunately no! I can't remember much at all now which is not helpful! I apologize! Just got home after the exam! I also had three LR sections (1,3,4). I thought the first two were easy and that the third was totally jumbled! I can't remember which section the junkyard question was in. I had an experimental reading comprehension section first that I think seriously impacted my score and mentality for the rest of the test. It included passages about the authorship of a feminist text, international norms, astronomy, and banks. This was the single hardest collection of reading comp questions I have ever seen, and I didn't get to answer any of the questions for the 4th passage and only really skimmed those for the 3rd. Subsequently, I was in a panic for the rest of the test. I thought the actual reading comp section was not that hard. I thought that the 26 question logical reasoning was not particularly challenging as a whole, while the 25 question section was slightly more challenging. The 26 question one had a question about people who eat nuts. There were also questions about comparing statistics to cars and about Shakespeare's Winter's Tale, though I'm not sure what section those were in. Normally, I skip/blind guess one LR question in every section for timing, but I ended up doing that on two in each of these which really freaked me out. I thought games 1-3 were quite easy, and then got stuck on game 4 about class projects, which I thought was challenging. I am really worried as a whole about this test. I have no idea what the curve is going to be, and that's impacting a lot of my thinking. I was PTing between a 167-170, but I am deeply concerned I screwed up because I was panicked after the horrible RC experimental (that I did not know at the time was experimental). I've done a bunch of scenario math, but it's hard to know without a scale. I am really hoping I didn't drop below a 165. Hi be - yeah, interestingly we're getting a lot of mixed reports about LR, with some saying their first was extremely tough and others (you included) seeming to prefer it! I had 3 logical reasoning sections, section one,three , and four. I don't remember any specific topics from the section I am assuming/hoping that the expirembetal section was (which would be my second LR on my third section). That one seemed unique to me. I had an evaluate the argument question type on the second page and I believe I had 1 or two other evaluate the argument question type on that same section on later pages. And I am not 100% on this, but I also had a cannot be true question type on the second page of that section as well. Idk if this matches the information listed under what might be the expiremntal section. I'm with others on the mush-brain syndrome after this exam. I had a LG - LR - LG - RC - LR configuration. I see you've identified a configuration where experimental LG was first but I'm not positive which one of my LGs had the class assignments game (Machiavellian, not Macedonia). I'm pretty sure it was the second LG, but is it possible there are two configurations in the order I saw sections with the exp/real LGs flip-flopped? Both of my game sections had one involving food. Also had a game about criminals in 2 cities across 4 (5?) days that was tough. I found the comparative reading to be tough. LR questions - deer and moose. high-performing executives or something similar. moral responsibility/freely chosen acts. why newspaper readership is declining. cost of energy/biz re-locating. yoga/physical therapy. pet allergies/taking allergy medication (parallel flaw). gold artifacts/gold mine. babies learning language. produce prices/home gardens. i can't remember one about hieroglyphics right now.... there was a Cannot Be True but I don't remember the topic.